We will be glad to reply and help you to solve any problem. Breastmilk storage guidelines included. They feature an easy pour design and there is also a convenient tab on which you can write ‘use by’ dates. Easy to pour. Double zipper for a secure seal. 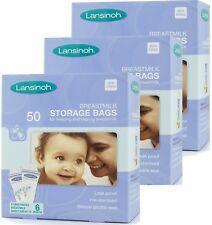 Lansinoh Breastmilk Storage Bags. Quality You Can Trust from Lansinoh. 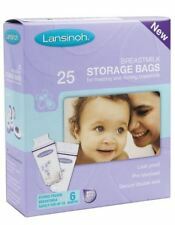 Lansinoh Breast Milk Storage Bags - 25-Count. Great Value! Open individual storage bag by tearing away safety seal and pulling zipper seal apart. You can now pump directly into our Breastmilk Storage Bags from any Lansinoh breast pump, just ensure that your Lansinoh Breastmilk Storage Bag has white and purple flowers and a white line above the logo. Made from food safe polyethylene (PE). They feature an easy pour design and there is also a convenient tab on which you can write ‘use by’ dates. Double zipper for a secure seal. We will answer or help you to solve the problems as soon as we can. We will be glad to reply and help you to solve any problem. Item number: 994406. Suitable for freezing. Dishwasher-proof and microwavable. The bags make storing, warming and transporting your breastmilk easy and convenient for you. Reinforced side seams with double zipper seal to ensure no loss of breastmilk. Each bag had a tab above the fill area to eliminate potential puncture of the bag. breast milk storage bags. Condition is New. Dispatched with Royal Mail 2nd Class. Capacity: 250ml. Convenient bottle design for easy dumping of breast milk. Pre-sterilized by gamma rays for storing and freezing breast milk. Item Type: Breast Milk Storage Bag. 30 Breast Milk Storage Bag s.
We will be glad to reply and help you to solve any problem. Color: (As the picture shows). We will answer or help you to solve the problems as soon as we can. 25 Medela Breast Milk Storage Bags. Box of 50 but opened and used half. All bags are sealed and sterile. Dispatched with Royal Mail 2nd Class. Avent Breast Milk/Food Storage Pots - set of 10, 180ml/6oz. Brand New unopened. Slight dent to packaging. Please see photo. From pet/smoke free home. Leak proof, with a double zipper for a secure seal, ensuring safe freezer storage. Pre-sterilised Breast Milk Storage Bags made from food safe polyethylene with gusseted bottom to allow for expansion, can stand or lay flat. Our breast milk bag is made of high-quality LDPE and PET material, BPA free, safe and healthy to use. And it is also a self-standing bag, it won't take much space. Self-standing bag, after using it to hold breast milk, you could stand or flat it in the refrigerator, it won't take much space, very convenient to use. 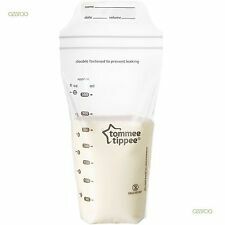 Tommee Tippee 'express and go' breastmilk pouch storage case. Condition is Used. Dispatched with Royal Mail 2nd Class. 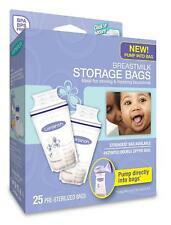 Medela Breast Milk Storage Bags, NEW 40 bags 6oz/150ml. Dispatched with Royal Mail 2nd Class. I’ve used only few but unfortunately I didn’t had much milk and we switched to formula . 30 PCS Breast Milk Storage Bag 200ml BPA free Safe Baby Feeding Containers Bag. Material: PP, BPA Free. 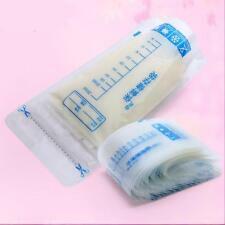 Breast Milk Storage Bag 30pcs. Leak Proof Zipper Seal. Do not put it in to 100 degree boiling water, and Microwave. Important instructions are included inside. These are designed to collect and protect your breast milk. The milk storage pots are stackable, dishwasher-proof, microwaveable and suitable for freezing. The bags are hygienically pre-sealed and the flat shape of the bags makes it quick to thaw breast milk. The double-walled bags have a leak-proof double zipper, ensuring safe freezer storage. The bags are made from food-grade, bpa-free material. 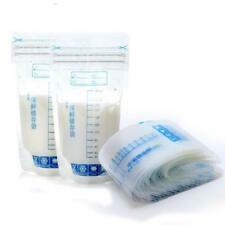 30Pcs Breast Milk Storage Bag s. Quantity: 30pcs. Pre-sterilized by gamma rays for storing and freezing breast milk. Convenient bottle design for easy dumping of breast milk. Item Type: Breast Milk Storage Bag. Medela BreastMilk Coolbag with X4 150ml Bottles RRP £24.99. Bought from Amazon then never used. Dispatched with Royal Mail 2nd Class. 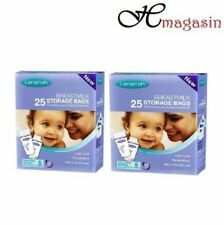 Brand new unopened 25 Lansinoh Breast milk storage bags. Dispatched with Royal Mail 2nd Class. Application: for the storage of the breast milk. Features: The milk storage bag has been disinfected, and is made of the food-grade material that is BPA free and EU certificated. Size: about 14.5 8.5 cm/5.71 3.35 in. 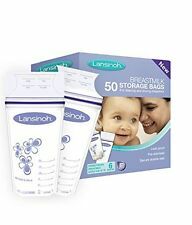 The Lansinoh Breastmilk Storage Bags make storing, warming and transporting your breastmilk easy and convenient for you. Reinforced side seams with double zipper seal to ensure no loss of breastmilk. Microfiber Chenille Car Wash Sponge Vehicle Washing Brush Pad Cleaning Tool DP. Kids Mini Dollhouse Furniture Doll Plastic Bunk Bed Toy Gift for House DP. 4pcs Anti Cellulite Cup Vacuum Cupping Silicone Facial Body Massage Therapy DP. Pre-sterilised Breast Milk Storage Bags made from food safe polyethylene with gusseted bottom to allow for expansion, can stand or lay flat. You can now pump directly into our Breast-milk Storage Bags from any Lansinoh breast pump. Handy pour spout allows for easy pour. Tamper evident & secure tear-away top with double seal for no spills or leaks. 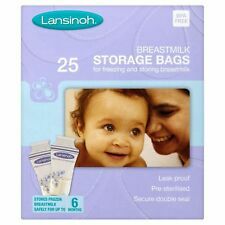 The Lansinoh Breastmilk Storage Bags make storing, warming and transporting your breastmilk easy and convenient for you. (Breastmilk Pouches). Reinforced side seams with double zipper seal to ensure no loss of breastmilk.